An early bath prevented Jes Firth from securing the 2016 crown. 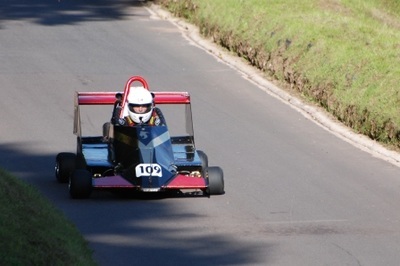 A win here would have given him a virtually unassailable lead going into the closing rounds of the season, but his departure after just one timed run opened the door for Moggy. 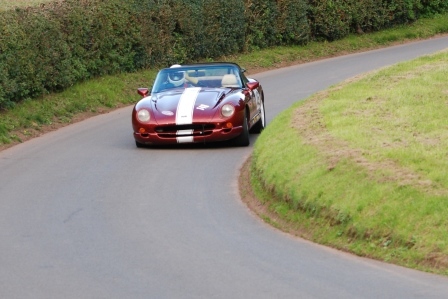 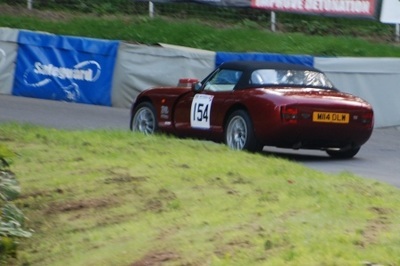 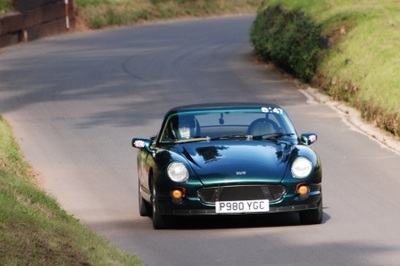 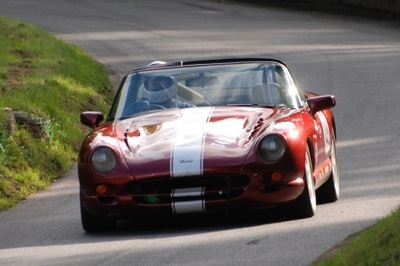 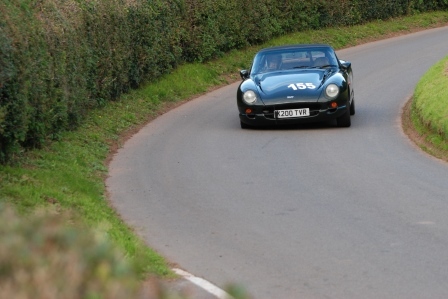 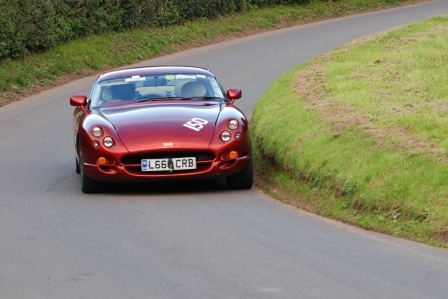 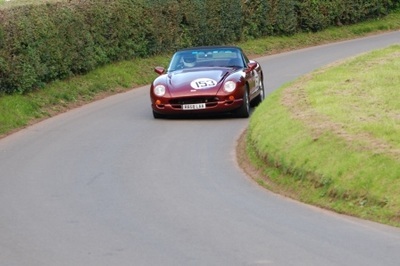 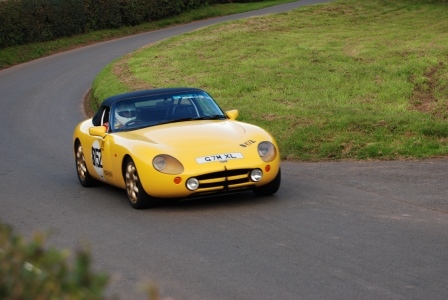 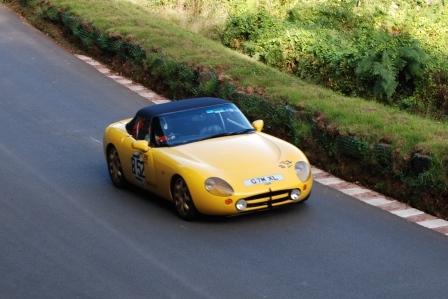 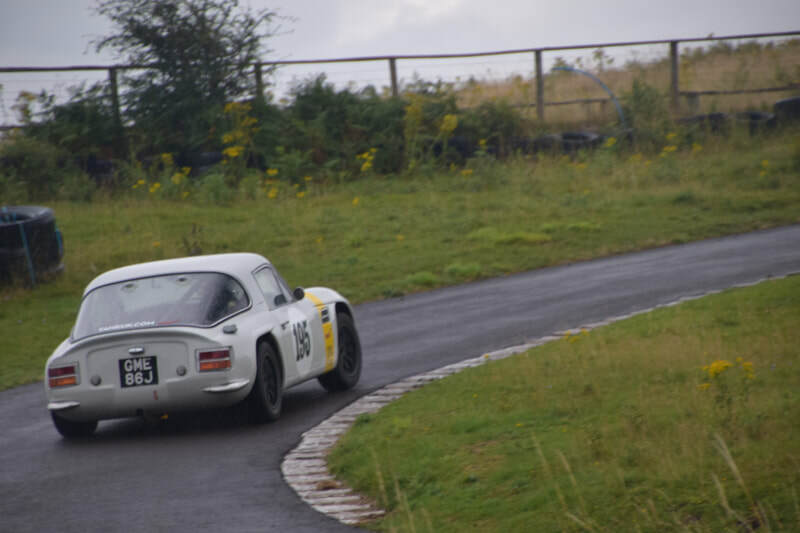 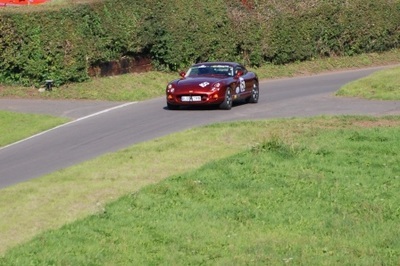 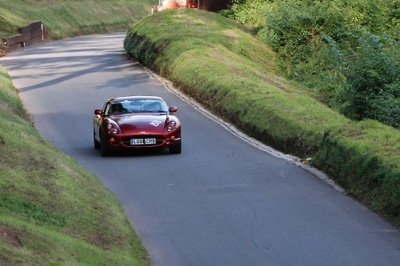 Moggy made it three wins in three years at Shelsley Walsh, giving it 110%, keeping his title hopes alive. A victory at the last round at Castle Combe could see Moggy elevated to 2016 champion. 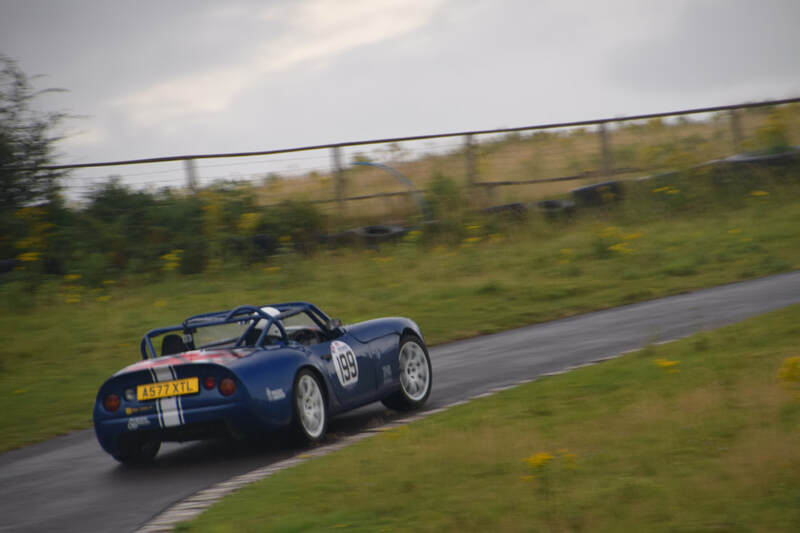 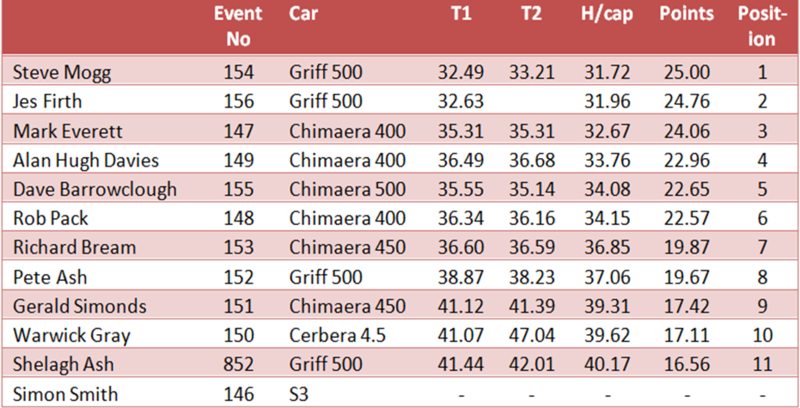 Having beaten Mark by a few thousandths the day before in Classic Marques, Jes wasn’t fazed being behind him by one second after first practice. 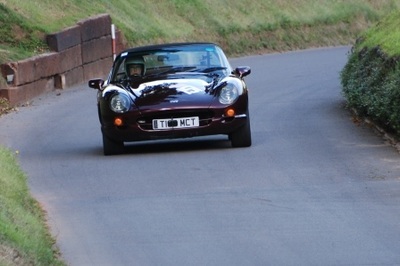 “Business as usual, but I’m gonna beat him by 5 thousandths just to p*ss him off,” Jes declared. 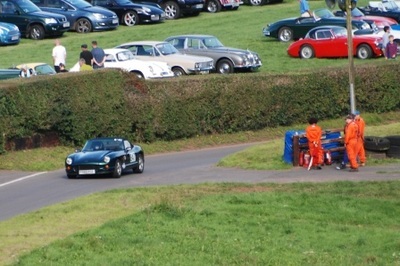 But in a game of two halves, he was ignoring today’s threat from local boy Moggy, who led from the start. Warwick getting the line "exactly right"
“First time here, it looks absolutely fantastic,” Dave commented. 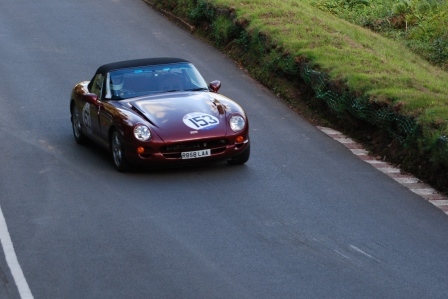 “I walked up last night and YouTube doesn’t show how steep it is; I was absolutely knackered when I got to the top.” A commendable 35 second time putting him just behind Alan. 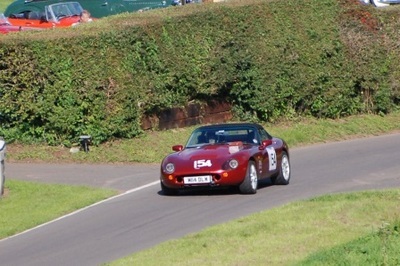 The steep hill did for Simon’s car. He was aware of a minor leak coming from the water pump, but the steep hill intensified the problem, turning it into a full blown gush! He was sick as a parrot and therefore unavailable for comment as he packed up and headed for home. At a venue he always does well at, Alan was again sharing Mark’s car, but was conscious of the extra practice Mark had had the day before. 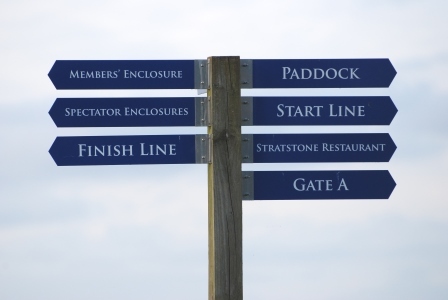 “I feel I should have come yesterday. 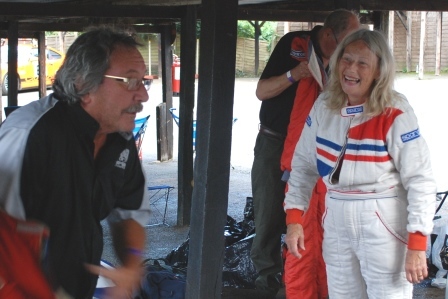 I’m 24 hours behind everybody,” Alan admitted, posting a time to put him in the top 4. 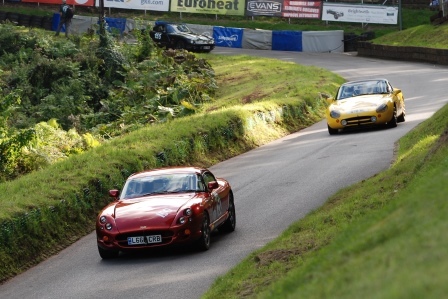 Rob, supported by his extensive fan club, exclaimed: “Shelsley Walsh is a lovely place to go, as it’s only about a mile away from my house. 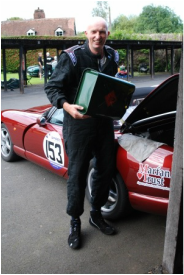 I love it.“ He left some performance behind in the locker though, claiming his car had a misfire. 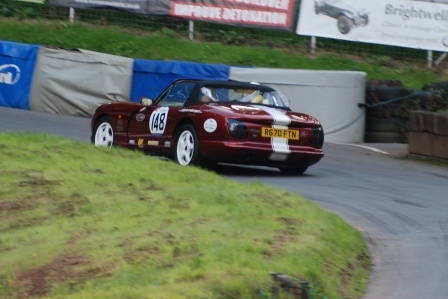 This was given credence later as Warwick repeatedly had to clean the soot off the front of his car after queueing behind Rob at the start line. 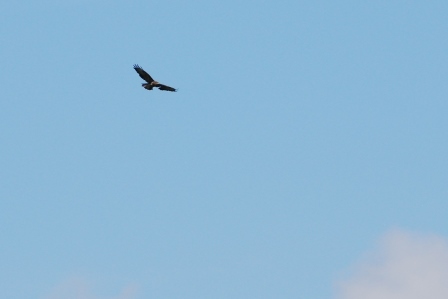 Following a summer of healthy living, Gerald arrived looking svelte and determined. Matching his personal best, he departed happy after a good day at the office. 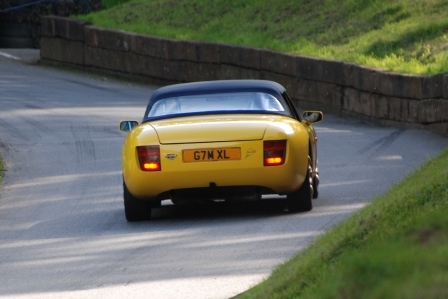 The drama continues at Goodwood next week.